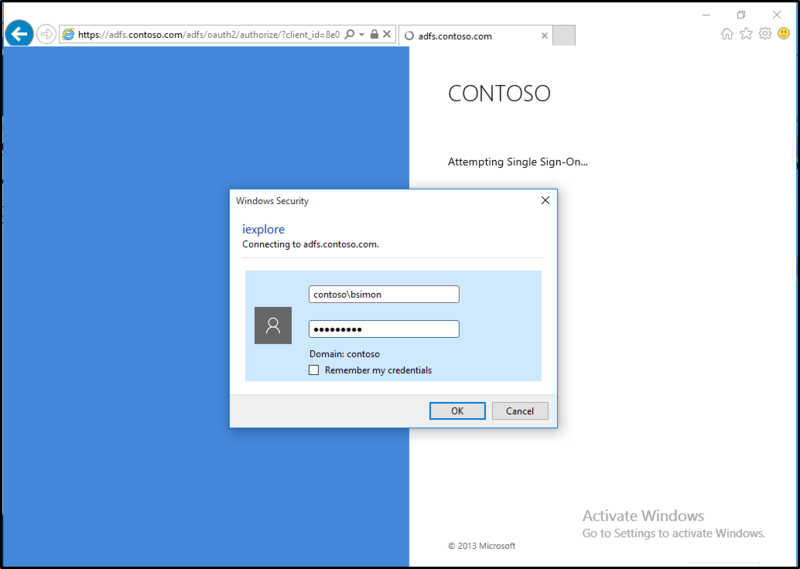 Building on the initial Oauth support in AD FS in Windows Server 2012 R2, AD FS 2016 introduces support for using the OpenId Connect sign-on. The following are a list of pre-requisites that are required prior to completing this document. This document assumes that AD FS has been installed and an AD FS farm has been created. Visual Studio 2013 or later. 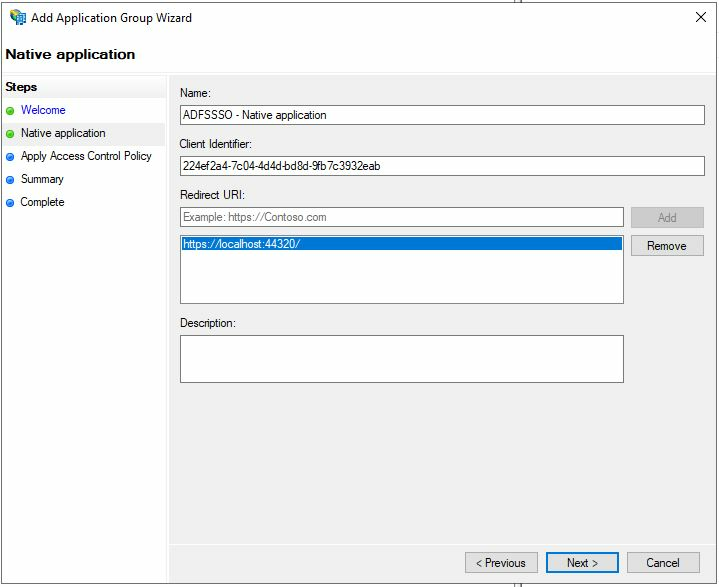 The following section describes how to configure the application group in AD FS 2016. 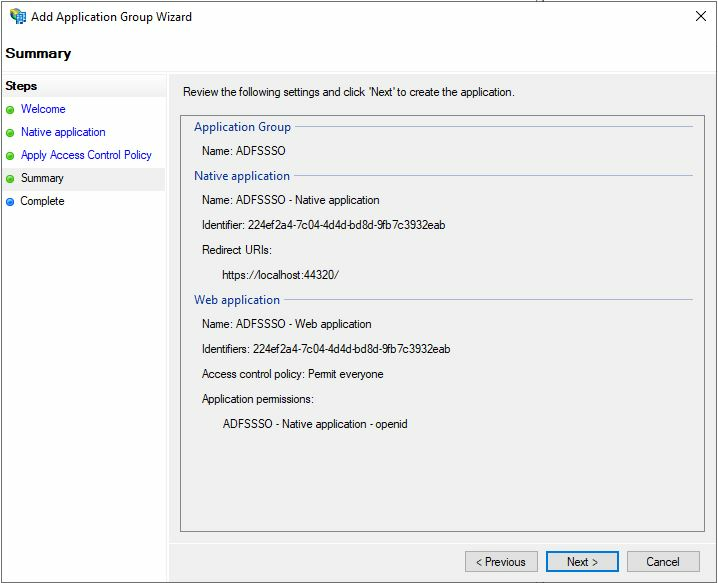 In AD FS Management, right-click on Application Groups and select Add Application Group. 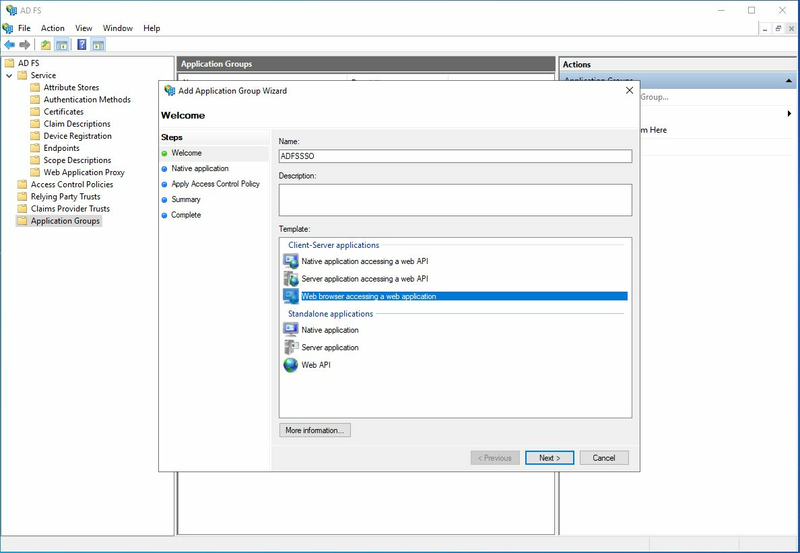 On the Application Group Wizard, for the name enter ADFSSSO and under Standalone applications select the Server application or Website template. Click Next. Copy the Client Identifier value. It will be used later as the value for ida:ClientId in the applications web.config file. Enter the following for Redirect URI: - https://localhost:44320/. Click Add. Click Next. Now, on the right-click the new Application Group and select Properties. 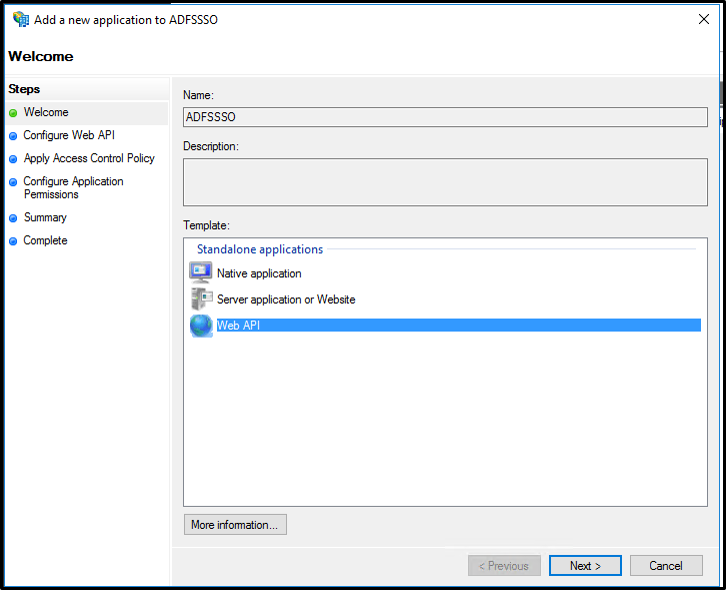 On the ADFSSSO Properties click Add application. 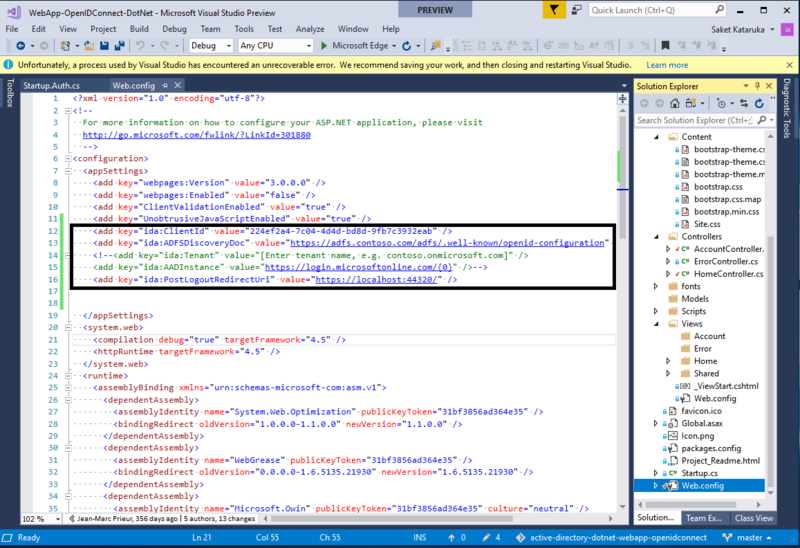 On the Add a new application to Sample Application select Web API and click Next. 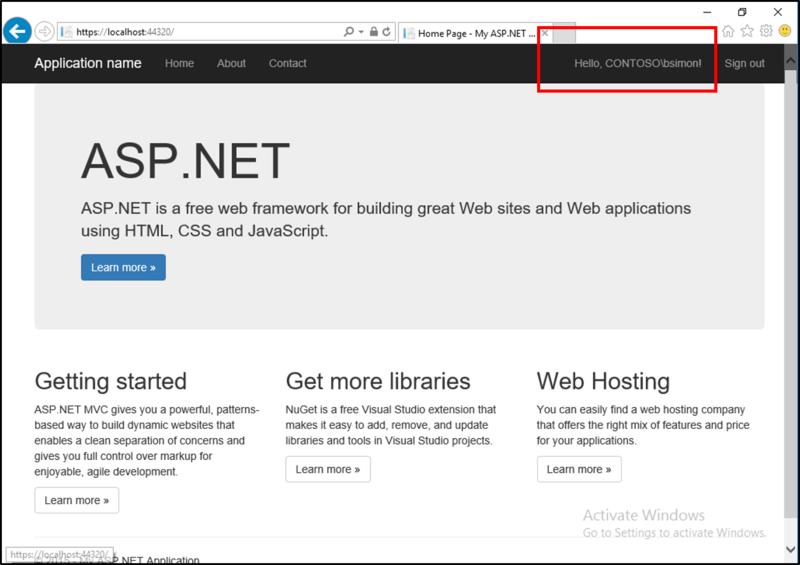 On the Configure Web API screen, enter the following for Identifier - https://contoso.com/WebApp. Click Add. Click Next. 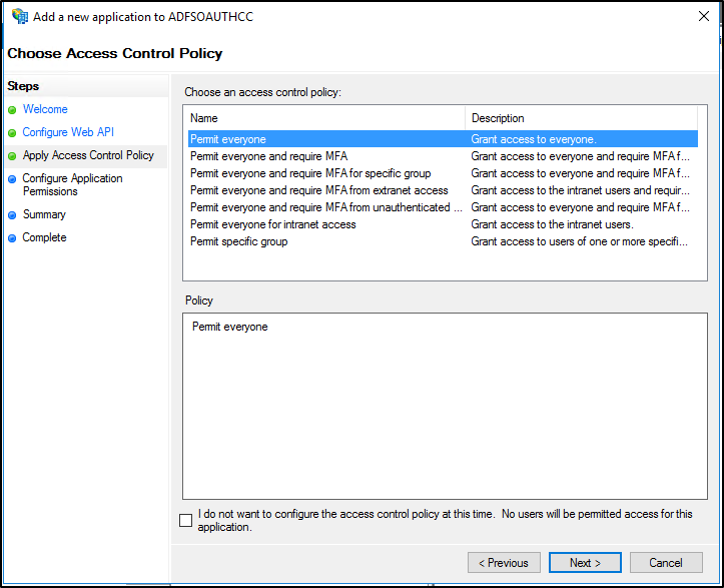 On the Choose Access Control Policy screen, select Permit everyone and click Next. 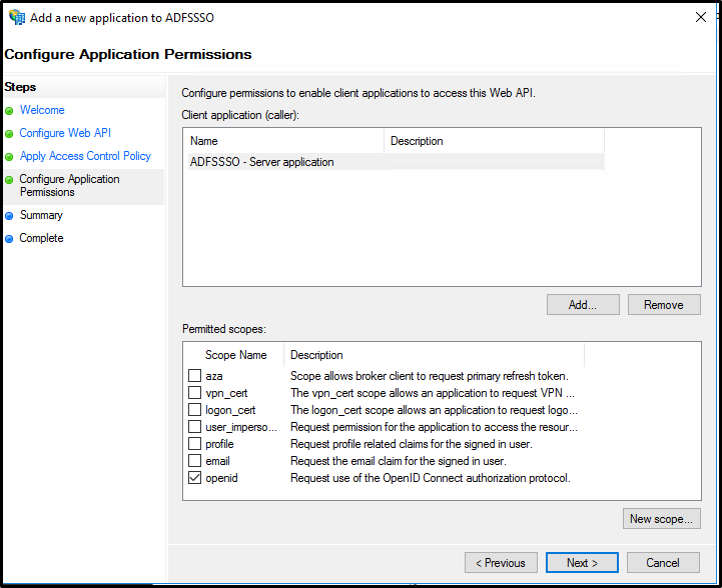 On the Configure Application Permissions screen, make sure openid is selected and click Next. 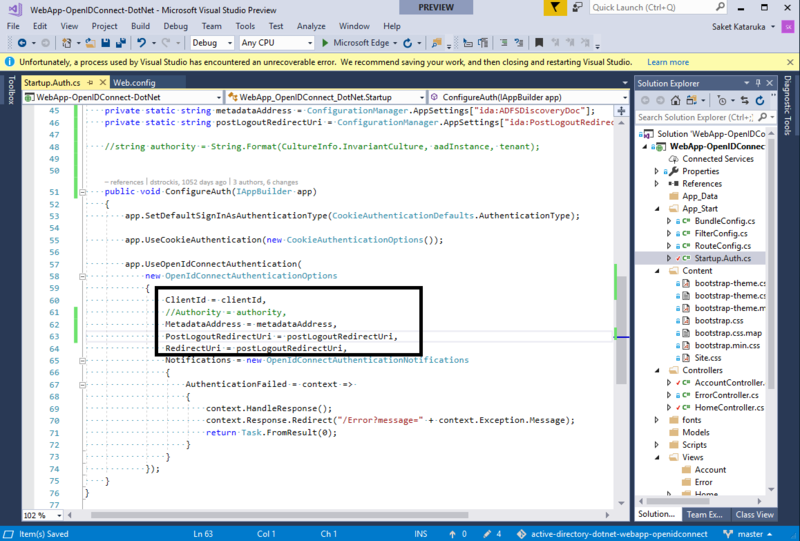 On the Sample Application Properties click OK. 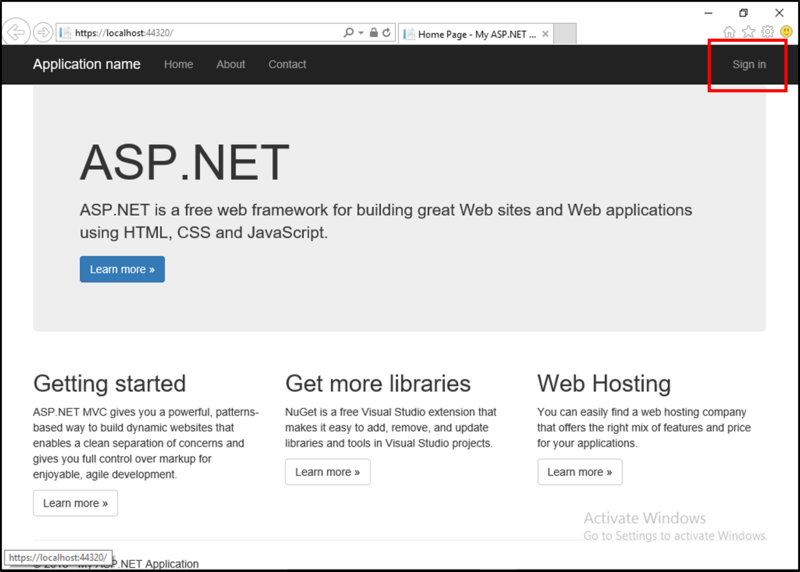 This section discusses how to download the sample Web API and modify it in Visual Studio. 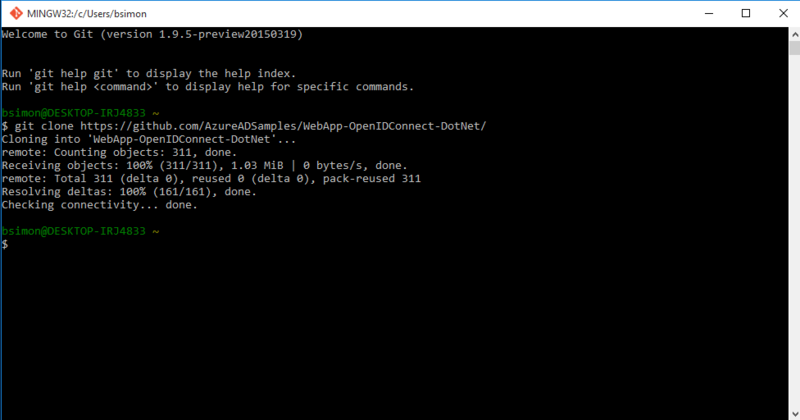 We will be using the Azure AD sample that is here. 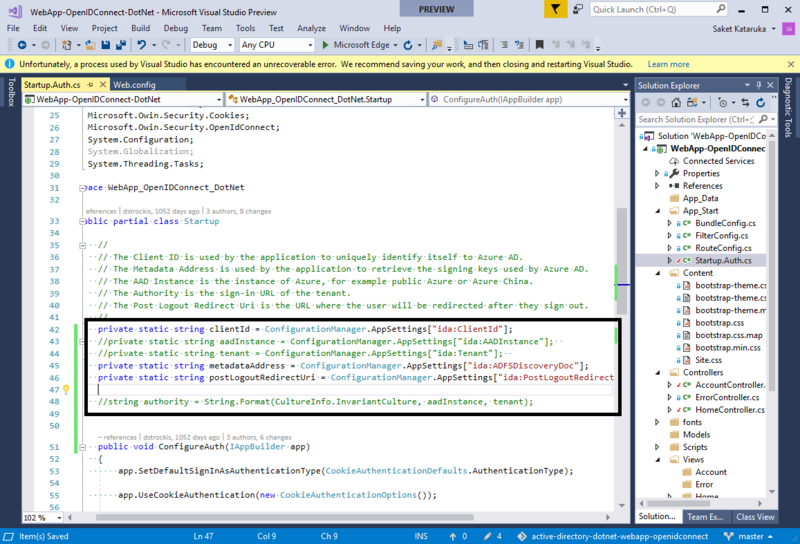 Open the sample using Visual Studio. Compile the app so that all of the missing NuGets are restored. Once the above changes have been made, hit F5. This will bring up the sample page. Click on sign in. You will be re-directed to the AD FS sign-in page. Go ahead and sign in. Once this is successful you should see that you are now signed in.